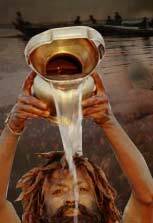 The Kumbha Mela (the Pot Fair) is celebrated in a twelve year cycle at Prayag, Hardwar, Nasik, and Ujjain. 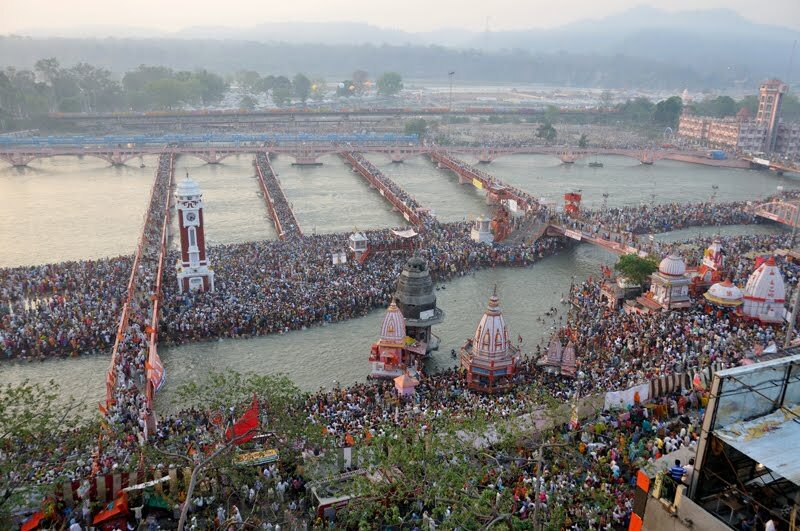 The Ardh-Kumbha is celebrated every six years. At this great festival (it is said to be the largest gathering of humans anywhere) at Prayag, where Ganga, Yamuna and the subterranean Saraswati meet, about two million pilgrims from all over the country take a holy dip at the sangam (confluence of the above rivers), while at other places over a million do the same in the holy rivers of Krishna and Godavari. According to legends, once the gods and demons fought for a long time, but neither could vanquish the other. In the meantime, they came to know a pot (Kumbha) of nectar which was lying at the bed of the ocean that could make the drinker immortal. For getting the nectar (Amrit), they put the fabled Mandara Mountain as a churning rod and the great serpent Vasuki as the churning string. They eventually found the pot of nectar but the battle among the gods and the demons continued and during the struggle, a few drops of the nectar fell at Prayag, Hardwar, Nasik and Ujjain. The war ultimately resulted in victory for the gods and since then Kumbha Mela is held in these places every twelve years. Religious discourses, non-stop recitations of the Vedas, epics and the Puranas are held in the camps, specially set up for the Kumbha Mela. The largest religious gathering in the world.